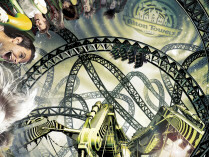 Strong rumours indicate that the new coaster will open on 18th May 2013. With May just around the corner, Alton Towers have yet to announce an official opening day for their new roller coaster, The Smiler. However, the rumour-mill has picked up pace in recent weeks with the Saturday 18th May being the hot tip the ride's début. This is due to a press event which has been organised on the 17th May for journalists and special invited guests to get a V.I.P. sneak preview of The Smiler. Whilst this is the strongest rumour we have heard so far, we advise everyone to wait until official confirmation is received before making a special arrangements to get a first ride on The Smiler. In the meantime, why don't you take a look at our Facebook page; we took a few photos at the weekend of the ongoing work on The Smiler.